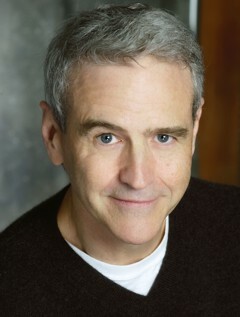 Joe Barrett began his acting career at the age of five in the basement of his family's home in upstate New York. He has gone on to play many stage roles, both on and off-Broadway, and in regional theaters from Los Angeles, Houston, and St. Louis to Washington, D.C., San Francisco, and Portland, Maine. He has appeared in films and television, both prime time and late night, and in hundreds of television and radio commercials. Joe has narrated over two hundred audiobooks. He has been an Audie Award finalist eight times, and his narration of Gun Church by Reed Farrel Coleman won the 2013 Audie Award for Original Work. AudioFile magazine has granted Joe fourteen Earphones Awards, including for James Salter's All That Is and Donald Katz's Home Fires. Regarding Joe's narration of John Irving's A Prayer For Owen Meany, AudioFile said, "This moving book comes across like a concerto . . . with a soloist—Owen's voice—rising from the background of an orchestral narration." Joe is married to actor Andrea Wright, and together they have four very grown children.